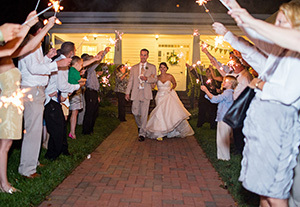 Find the breathtaking farm wedding venue of your dreams right here on the outskirts of Raleigh. The Rand-Bryan House, built on a 135-acre farm in 1871, has served as the wedding venue for countless happy couples in the Raleigh area. Rustic, yet elegant — A farm wedding embraces the timelessness of American heritage and calls to mind the grace and beauty of a country life. Welcoming — Your dream outdoor wedding venue is inviting, where large parties and intimate gatherings are celebrated equally. Unforgettable — Start reminiscing before the day ends in a place built on over a century of good memories. A farm wedding venue should be warm, charming, and comfortable. When you book the Rand-Bryan House, you experience all that and more. We invite you to get in touch with us at (919) 995-1663 to begin planning your special day! Christmas tree farm — Stunning and picturesque in every season. Barns — Distinguished and full of character; the ideal backdrop for farm wedding bridal party photos. 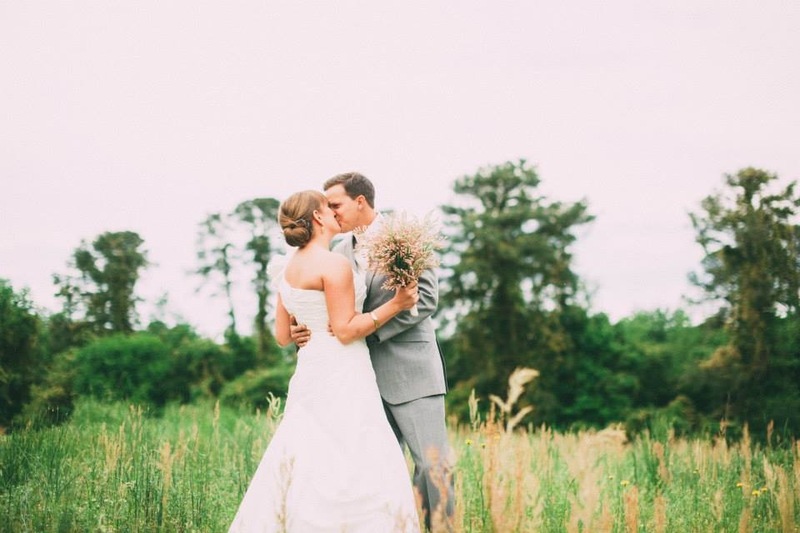 Grassy fields — Open areas perfect for the close, first photos of bride-and-groom. We cherish the natural elements of our farm wedding venue, but we also maintain an immaculately manicured landscape. At the Rand-Bryan House, your bridal party can enjoy a refined outdoor environment as well as traditional farm setting. An indoor wedding ceremony in the sunroom or reception room (seats up to 120 guests). An outdoor wedding ceremony on the lawn, surrounded by gorgeous Southern trees (seats up to 250 guests). Outdoor tenting in inclement weather. Market lighting that frames your outdoor reception with an intimate glow. Bridal preparation suite, complete with everything you need to look and feel flawless. We are here to make your perfect farm wedding a reality. Every couple is different, but the joy experienced at the Rand-Bryan House is always the same. Contact us by calling (919) 995-1663 or completing a brief contact form today!